Millie is the baby of the family. She is a Two year old Shih tzu and a little force of nature, she has been since she first came through our door and I don’t think it’s going to change any time soon. Yes, she’s a puppy, but this little lady has as big dollop of attitude to go with her bouncy, inquisitive baby phase. Just like any Shih Tzu, she believes she’s there to be loved and you best do so or you’ll never stop hearing about it! Don’t you know who she is?? Kissing Myfie and Stoking his face! Millie likes to JUMP! As high as she can, so we have to lift her toys up high so she tries to get them, and she always does. This girl is always in trouble for something, code name: The Destroyer! a bundle of mischief by the sound of it! 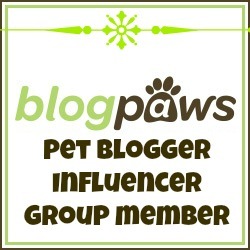 ROFWL>>>Millie sounds like every Shih Tzu I have met! Full of energy & loads of attitude…. You have such lovely dogs Carrie. Thank you so much Sherri-Ellen I think you can tell, like you, I am so proud of my furry family! YES!! That’s exactly what she is; Myfie’s groupie… I need to put that on a tee-shirt for her! Bwwahahaa! Nylablue has responded to meds & my love & all the love she feels….we have so many friends in the blog world…I am sure it helps. I read comments & read blogs to her…she must know there is alot of love for her. I also have a friend doing long distance Reiki on her from UK….I am sure that helps too!!! This is a group effort for sure! Right! No doubt about it helping! Before I started the blog I was obsessed with instagram and made so many friends over there, just as nutty about their pets as we are. Having likeminded people to be in contact with is helpful in sooo many ways! I too, am sure they can feel the love! … and we are sending huge chunks of it your way now too! Sending love, sunshine & best wishes your way also!